"Secret Door" is the sixteenth and final track from the deluxe edition of Evanescence's third studio album, Evanescence. It is one of the songs that got reworked from the 2009–2010 Lillywhite sessions (along with Made of Stone, Sick, Swimming Home and End of the Dream). 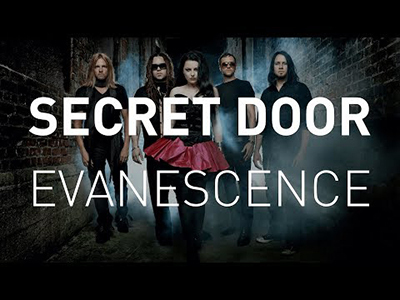 "Secret Door” is a harp song featured on the deluxe version of Evanescence’s self-titled record. The song was included on the b-side album, Lost Whispers, for The Ultimate Collection LP set that was released on December 9, 2016.